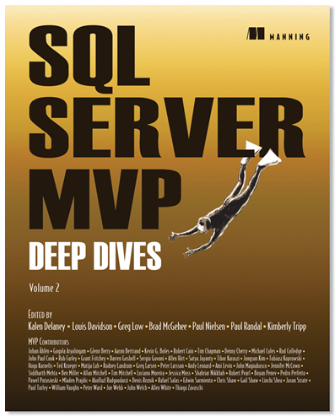 Two years ago when SQL Server MVP Deep Dives: Volume 1 was released, I had the opportunity to contribute two chapters. In SQL Server MVP Deep Dives Volume 2, I not only had the opportunity to contribute a chapter, but the privilege of being the section editor of the “Performance Tuning and Optimization” section of the book. I would like to thank all of the following writers in my section for all their hard work, and for getting me their drafts on schedule. I also want to thank Grant Fritchey, who helped me coordinating the technical editing of the chapters. 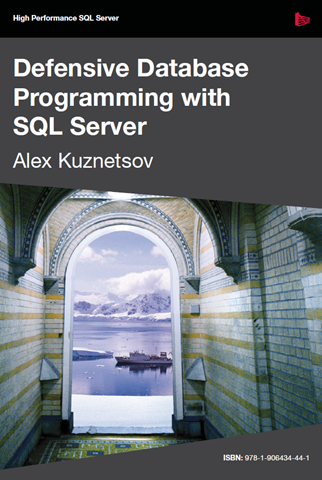 Simple-Talk Publishing has released a new, free 291 page eBook called Defensive Database Programming with SQL Server, by Alex Kuznetsov. Here is what the book covers, as described from the book’s introduction. “Resilient T-SQL code is code that is designed to last, and to be safely reused by others. The goal of defensive database programming, and of this book, is to help you to produce resilient T-SQL code that robustly and gracefully handles cases of unintended use, and is resilient to common changes to the database environment. As DBAs, we are often put in the position of purchasing software from third-party vendors. 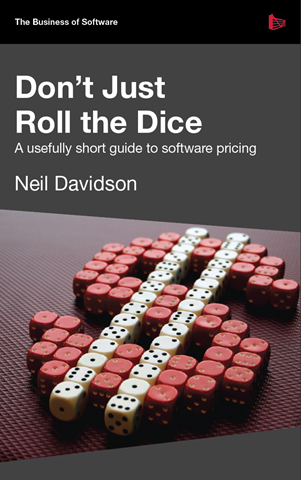 If you are like me, you are probably amazed at the wide variation in software prices, and how the price of a product seems to bear little relationship with its actual cost. For example, why is the SQL Server Enterprise Edition so much more expensive than the SQL Server Standard Edition? Need to Persuade Your Manager or Co-Worker to Your Point of View? At one time or another, each of us has been in a position where we need to persuade a manager, a fellow worker, or anyone for that matter, to our point-of-view. For example, you might want new server hardware, to upgrade an existing instance of SQL Server, the help of a co-worker, or you would like a raise. My new eBook, Brad’ Sure Guide to SQL Server Maintenance Plans is now available as a free, 269 page PDF eBook. The book is designed for part-time or novice DBAs who want to learn how to properly create Maintenance Plans using the tools that come with SQL Server Management Studio (SSMS) in SQL Server 2005/2008. Maintenance Plan Wizard – a Wizard that steps the user through the process of setting up basic Maintenance Plans, with limited options. Maintenance Plan Designer – a drag-and-drop GUI interface in SSMS that facilitates the design and creation of more flexible, customizable maintenance plans. Unfortunately, neither tool is especially easy to use or well documented. However, with the guidance I provide in this book, they can become powerful tools in helping the novice DBA to perform critical maintenance tasks, and so help to ensure SQL Server’s performance and availability. In addition to learning how to use these tools you will, along the way, pick up a lot of good, general advice on SQL Server database maintenance. I also tell you when not to use these tools, as there are many cases when it is more appropriate to use T-SQL or PowerShell scripts to perform database maintenance. If you get a chance to read the book, please post your feedback here. While I spent a lot of time trying to include as much content as I could, I realize that I did not cover every possible way to use these tools, nor cover how they should be used under every possible SQL Server environment. A paperback version of the book should become available at Amazon.com within the 60 days. PS: If you haven’t read my blog on A Time and Place for the SQL Server Maintenance Plan Wizard, please do so. It explains why I decided to write this book.